The staff and volunteers at Gil's Hills believe in investing their time, talents, and abilities in a way that will make a difference. We have found that lonely, troubled, hostile young people do respond to love if that love is personal, if that love is present, and if that love is dependable. We are excited to offer our generous donors an easy to use online option. 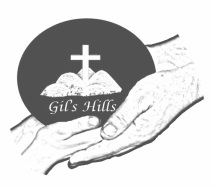 You can make a monetary donation directly to Gil's Hills using our secure app. to input your credit or debit card information. You can make a one-time gift, or set up monthly recurring payments! totally dependent on God using people like you. Your love gifts are greatly appreciated. You are a blessing to this ministry! he shall by no means lose his reward."